Lionel Obino and UtuCast team invite you to the launch of the UtuCast initiative! 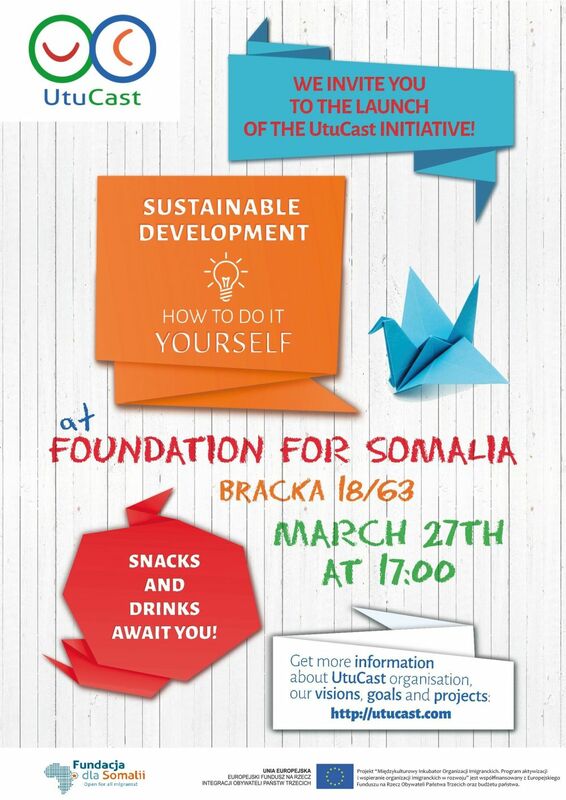 Check out our first stand in Foundation for Somalia on March 27th 2016 at 17:00 to get more information about UtuCast organisation, our visions, goals and projects. Name UtuCast derives from suahili word for ‘humanity’. Lionel wants to promote the idea of sustainable development, meaning not only the economic factors, but also such issues like pollution. He’s going to create the community of people supporting sustainable development. But he doesn’t want them to be implemented from the top – the key is to encourage people to participate in that process! UtuCast presentation: introduction about our organisation, goals, projects, events. What are “Sustainable Development Goals”?